Peanut Butter Cup Cupcakes. Yum. Cookbook by my friends at Gooseberry Patch. If you haven’t entered to win this awesome little cookbook BEFORE you can buy it, head on over and do so… I’ll wait. 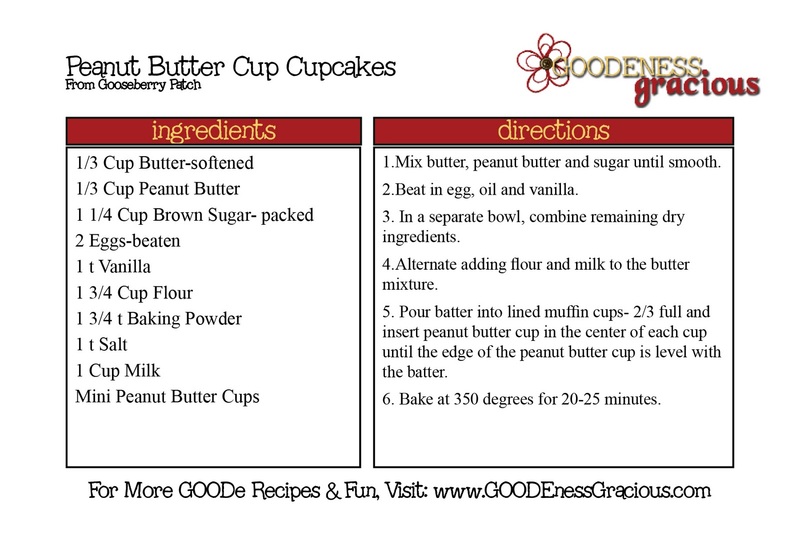 Stick one Reese Cup in the center of each cupcake until it is even with the batter. Oh Yum! Did you save me some :)! LOL! Are you *trying* to make my bum double in size!? Yummy!